It stretches approximately 4,600 miles from Crown Point in eastern New York to Lake Sakakawea State Park in central North Dakota in the United States. Passing through the seven states of York, Pennsylvania, Ohio, Michigan, Wisconsin, Minnesota, and North Dakota, it is the longest of the eleven National Scenic Trails authorized by Congress. The centre point of the trail is located near the NCTA headquarters in Lowell, Michigan. This highway stretches 3,093.6 miles and was a trade route of vital importance to the ancient Near East. It began in Egypt and stretched across the Sinai Peninsula to Aqaba. From there it turned northward across Transjordan, leading to Damascus and the Euphrates River. Since the Muslim conquest in the 7th century CE and until the 16th century it served as the darb al-hajj or pilgrimage road for Muslims coming from Syria, Iraq and beyond and heading for the holy city of Mecca. The Highway began in Heliopolis, Egypt and from there went eastward to Clysma (modern Suez), through the Mitla Pass and the Egyptian forts of Nekhl and Themed in the Sinai desert to Eilat and AqabaNumerous ancient states, including Edom, Moab, Ammon, and various Aramaean polities depended largely on the King’s Highway for trade.The Highway has also been used as an important pilgrimage route for Christians. After the Muslim conquests, the road was used it as the main Hajj route from Syria to Mecca, until the Ottoman Turks built the Tariq al-Bint in the 16th century. The Persian Royal Road was an ancient highway reorganized and rebuilt by the Persian king Darius the Great (Darius I) of the Achaemenid Empire in the 5th century BC and stretches 1,600 miles. Darius built the road to facilitate rapid communication throughout his very large empire from Susa to Sardis. The Via Augusta was the longest Roman road anywhere in Hispania, covering some 933 miles from the Pyrenees Mountains, skirting the Mediterranean Sea as far as Cadiz, in southern Spain. Via Egnatia was a road of 696miles, constructed by the Romans in the 2nd century BC. It crossed the Roman provinces of Illyricum, Macedonia, and Thrace, running through territory that is now part of modern Albania, the Republic of Macedonia, Greece, and European Turkey.it connects all the main roads Roman cities. Today’s modern highway, Egnatia Odos, runs in parallel with the Via Egnatia between Thessaloniki and the Turkish border on the Evros river. The Nakasendo stretches 332miles, was one of the five routes of the Edo period, and one of the two that connected Edo to Kyoto in Japan stretches 330miles. There were 69 stations between Edo and Kyoto, crossing through Musashi, Kozuke, Shinano, Mino and Omi provinces. 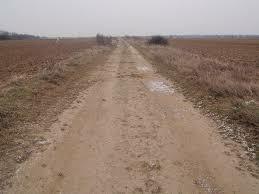 Because it was such a well-developed road, many famous persons, travelled the road. Many people preferred traveling along the Nakasendo because it did not require travellers to ford any rivers. An Example of major public infrastructure developed using convict built road with massive structural works, which remains undisturbed by later development. It demonstrates the isolated and harsh conditions in which the convict road building gangs lived and laboured for months at a time. Although the road is closed to vehicles, it can be walked or cycled. One of three ‘Great Roads’ commenced by Governor Ralph Darling. Linking Sydney with the Hunter Valley, the 250-kilometre long road was built using convict road gang labour. The Old Great North Road provides evidence of the transition of New South Wales from a penal colony to a permanent settlement and is an excellent representation of the extensive road building undertaken by Governor Darling to provide much needed infrastructure for the colony, provide transportation and communication links with dispersed settlements, and provide harsh punishment for convicts at minimum cost to the government. It is the important Khmer highway was a 142.92 miles roadway going northwest between Angkor in Cambodia and Phimai now in Thailand. READ ALSO Is it worth to buy Maruti Suzuki Baleno? Most of the road is overgrown by the jungle, and only visible today on aerial photographs. The only part of the road which is still driveable is at the entrance to the town. This road provoked only in the 12th and 13th century. Amber road was an ancient trade route for the transfer of amber from coastal areas of the North Sea and the Baltic Sea to the Mediterranean Sea. Prehistoric trade routes between Northern and Southern Europe were defined by the amber trade. From at least the sixteenth century BC amber was moved from Northern Europe to the Mediterranean area. Routes connecting amber finding locations at Ambares (near Bordeaux), leading to Bearn and the Pyrenees. Routes connecting the amber finding locations in northern Spain and in the Pyrenees were a trading route to the Mediterranean Sea. Yuen Tsuen Ancient Trail also known as Yuen Tsuen Traditional Footpath, is a trail stretches 5.468 miles and linking Yuen Long and Tsuen Wan in the New Territories of Hong Kong. The trail routes along Tsuen Wan, Tsuen King Circuit, Ha Fa Shan, Shek Lung Kung, Sheung Tong, Tin Fu Tsai, Tai Lam Chung, Nam Hang Pai and Yuen Long. The trail was the major trail for travelling between two major towns for villages trading their necessaries before the completion of Castle Peak Road.